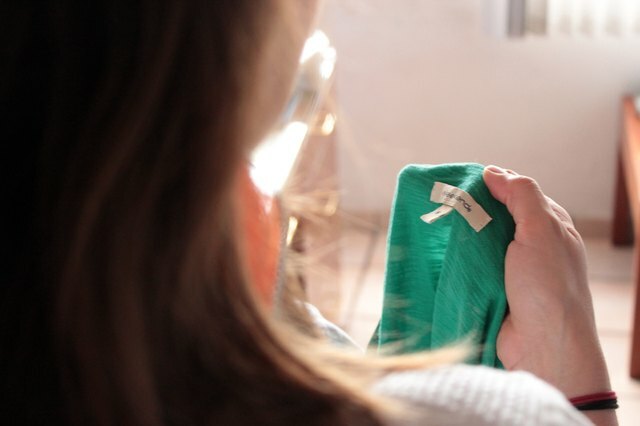 Today’s clothing sizes are larger than their older counterparts – a “size 0” garment currently sold at the mall may have the same measurements as a “size 6” garment from 20 years ago. For this reason, some women often have difficulty finding clothes that fit. Juniors clothing – made especially for teenage girls – may accommodate some adult women's body types. 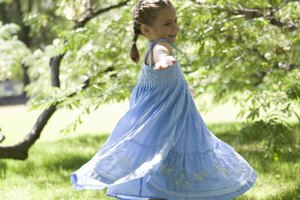 To accommodate teenage figures, junior sizes are several inches slimmer in the bust and hips than comparable misses or adult sizes, and are slightly smaller in general. Juniors garments also tend to reflect current pop culture and fashion trends. Measure around your waist: Stand up and bend to one side until a crease appears. 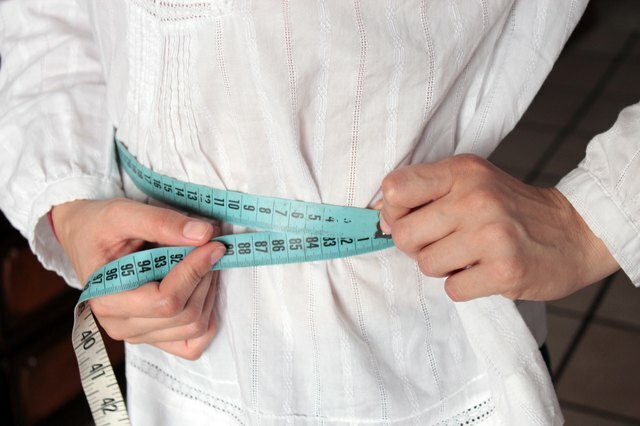 Stand up straight again, and loosely measure around your waist where the crease appeared. Write down the measurement. You will use this measurement to find your pants size. 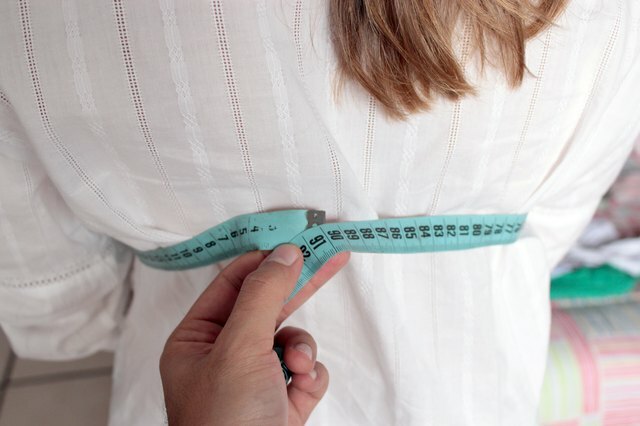 Measure your bust size: Loosely wrap measuring tape around the fullest part of your bust, keeping the measuring tape straight against your back. Write this measurement down to find your shirt size. 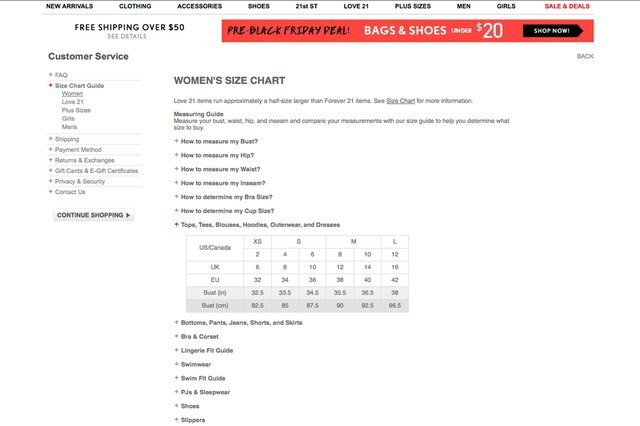 Access the clothing size chart for a store of your choice. 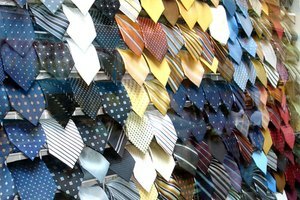 Clothing sizes vary widely from store to store, so it is best to check the chart for each store where you plan to buy clothes. You can find a clothing size chart on the company’s website. Look up your adult and juniors pant sizes based on the measurements taken earlier. If you have a 30-inch waist, for example, your National Workwear pants size would be a 7 for adult women and 10 for juniors. Juniors pant sizes are usually about three numbers higher than the corresponding adult size, though there is no exact equation to convert the sizes. Since juniors sizes tend to be slimmer in the hips, you may need pants a size or two larger to accommodate a rounder adult figure. Look up your adult and juniors shirt size based on the bust measurement taken earlier. If you have a 36-inch chest, for example, your adult shirt size is 10, or “Medium,” and your juniors shirt size is 4, according to National Workwear’s chart. Juniors shirt sizes tend to be a three or more numbers lower than the corresponding adult size. As with pant sizes, there is no exact equation to convert one to the other. Since teenage girls tend to have smaller busts, junior size shirts may ride up on adults with full figures. How to Find out What Size of Pants You Wear With Your Waist Measurement? What Is the Difference Between Petite and Regular Women's Sizes?